Blockchain: The Revolution Will Not Be Centralized! This article will deal a bit about how Bitcoin works and other virtual currencies and how this revolutionary innovation is not about money only, but all sorts of increasingly present applications in human life from now on. If you do not know what is bitcoin, I recommend a quick search on Google to get acquainted better. But in short, is a fully decentralized virtual currency - without a central authority or an individual who is controlling everything - and that has been very useful and popular in our increasingly pace of life virtual and connected. If you have the slightest idea of ​​what is bitcoin, know that it is actually the Blockchain the technology behind the operation of this cryptocurrency. And this technology is so comprehensive and applied in so many areas that virtual currencies not even represent a sliver of this iceberg of possibilities. Virtual currencies and related solutions created using the blockchain promise to take unrestricted financial services to every corner of the globe, providing a huge lack of such services in poor countries, remote areas and a portion not explored the young population. Case: A young African man can work in the US or Europe and need to send money to help his family in their home country. Using traditional banking services or the services of a specialized company like Western Union, he would pay high rates, taxes and his family in a remote community in sub-Saharan Africa would have to travel a considerable distance to an urban center to access the money. With a virtual currency this transaction would be almost instantaneous at the cost of a few cents and your family could make purchases using a simple model of smartphone, now increasingly available in poor countries. Similarly one marketer in South Asia can receive payment of a tourist in a fast, safe, reliable and tax-free, even with a bad data connection. No work or cost of foreign exchange transactions. Specific examples of how this technology can make available several services that otherwise would not reach a large portion of the disenfranchised population . Also in the financial market, the Nasdaq recently announced the Linq, a solution to the stock exchange based on blockchain technology. 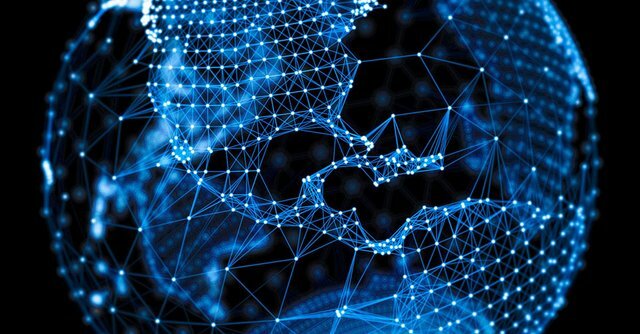 Among the benefits are the decentralization of the technological apparatus needed to operate the stock market, with desirable effects, increase in performance, security and reliability of information, and greater integration of financial markets around the world. But how in fact this technology works? Consider the following situation. You have a secret information, say, a contract where only you and the counterparty must have access, in addition to their lawyers. The contract conceives that you should pay for a product or service when it is delivered to you. Ideally nobody violates clauses. But say you suddenly ran out of money and can not pay for that product or service. The supplier contract counterparty, still manufactures the product and sends it to you. You reject the product (or receive and do not pay) and there is a breach of contract. The supplier has invested money in the manufacturing of the product, feeling aggrieved, triggers justice for breach of contract terms. From this unfolds all legal soap opera that we need not describe here. How the blockchain would solve this situation? First, the contract would be created as blocks (basic units of information within the blockchain). These blocks are encrypted with a security key and only the parties involved (you, supplier, lawyers) have access to this key and the contents of the blocks. Imagine that there is a clause (or block) in the contract for the value of the product you must pass on to the supplier. There is another clause / block with the information of the bitcoin wallet where the balance for vendor payment will be stored. The supplier's factory has integration with blockchain. The product is only made when the supplier validates that there is sufficient balance in the bitcoin wallet referenced in the contract. There is another clause / block in the contract where the payment should only be released if the product is received in perfect condition. The supplier then dispatches a truck with the product to you. The truck has tracking of integrated GPS to blockchain. The receipt is electronically also integrated with blockchain. Payment is then automatically released to the supplier when the truck arrives at its destination safely and you "sign" the receipt electronically (using biometrics, your smartphone, etc). If any main clause fails or is violated, there can be "alternative" clauses to compensate. And if all else fails, a judge can finally have access to the contract and use any "legal processing system" that would say who violated what and how should be solved the problem. Found it utopic? For this is a type of application among the most considered for the blockchain. There are countless solutions in development there. A quick search for smart blockchain contracts and you will have a lot to learn to respect. Legal matters are not quite my area. You have any other examples? The previous example was just a concept (smart contracts) very much in vogue for the use of this technology. 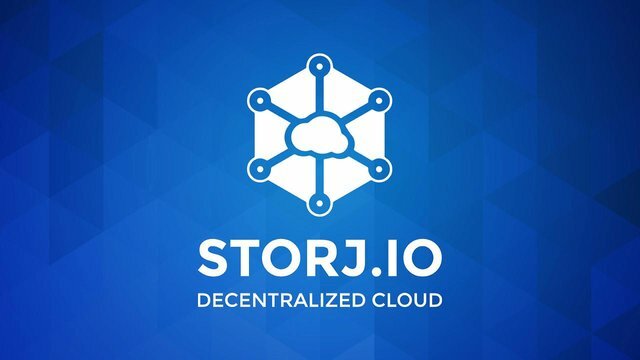 A friendlier example for the end user, Storj is a solution for storing files (similar to Dropbox or Google Drive) distributed. Storing files in this way can be ten or one hundred times cheaper and reliable than using centralized storage servers. Conceive the following hypothesis. You have a document and does not want anyone to have access to contents. You then fragments that document into thousands of pieces and spreads all possible locations of the globe. Only you know where the pieces and how to assemble it again so that the document again be readable. Maybe it's a very safe way to store your information, but very labor intensive, isn’t it? The blockchain gives you this possibility. The Storj does do something like that. It stores your information and encrypts it with a key that only you have access. The information is stored in a distributed fashion throughout the network, which makes it much cheaper storage costs. As any company centralizes storage media, any government or other agent can access your information through force. Thus no one, not the government, no company, not even his mother will have access to your information. Even within popular uses for the technology, we can mention the MegaNet, solution recently announced by Kim Dotcom, founder of the storage site Megaupload and Mega, and that promises to replace the Internet for safer decentralized alternative, fast and focused on privacy. The Onename create your online identity so you can prove who really is (as with official identification documents today). The proposal is that this virtual identity does not serve only for mere identification, but replace your passwords, keys, buttons and other types of identity that we use in day-to-day. Even a passport can benefit from this technology, bringing more security, flexibility and greater integration between the border authorities around the world. Now it should have been more clear how revolutionary the blockchain technology can be. Initially abstracting habits already established in society to the virtual world, the range of possibilities is immeasurable. With a little effort even you or I can think of a new solution. 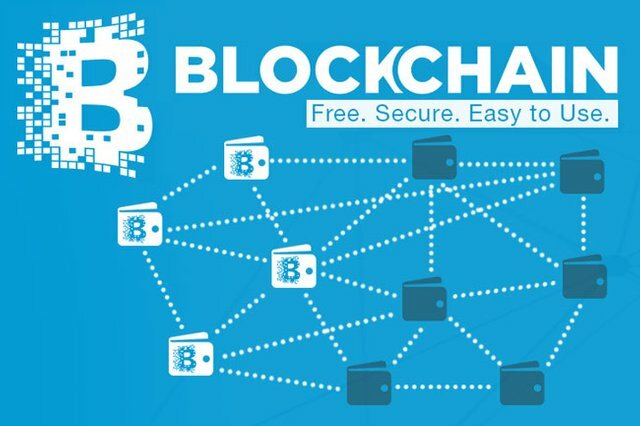 In a few years blockchain has evolved and now begins to show its fruits. Very soon we will be paying the restaurant bill, taking the subway or hailing a taxi using the blockchain. Are we prepared for this decentralized revolution?